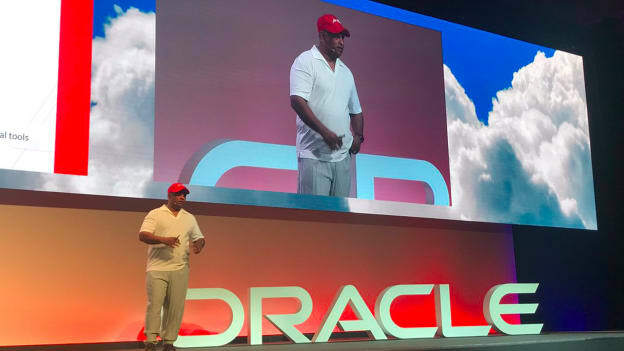 “My dream was always to start an airline, something I told my father at the age of five years,” revealed AirAsia Group Chief Executive Officer Tony Fernandes at Oracle OpenWorld Singapore. And it is that pulsating desire which made him switch from the record business and the accounting domain to finally pursuing his dream of starting a no-frills budget airline in 2001. Without having any prior experience in the airline business or a substantial monetary backing, Tony relied solely on his passion. And passion takes you a long way. Starting from two planes, now the budget airline owns 259 aircrafts and has carried over 100 Mn people as a group this year. With a staff of over 21,000, it has risen to become the fourth largest airline in Asia. But the most interesting thing about the staff is that in all the 17 years, it has not had a single union or industrial action. 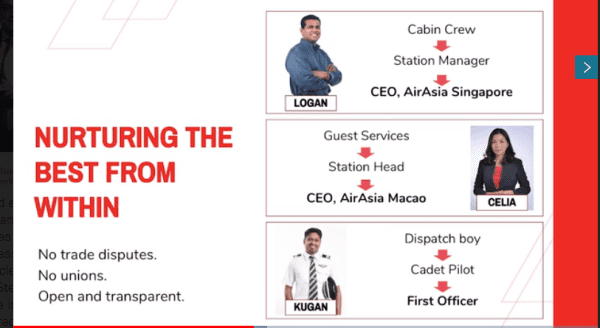 What makes AirAsia different? When Tony started AirAsia, he was involved in every facet of the airline. Unlike CEOs who sit in their office and never come out and know what's happening in the company, he was actively involved in every part of the airline-be it as mundane as handling baggage. This involvement made him realize that there were so many smart people in the company who did not have the resources for education. So he opened up the cadet product program to everyone in AirAsia, not caring whether they came from Oxford or Harvard. The only thing required was for them to be motivated enough. Similarly, he encouraged more female pilots as he noticed a dearth of female pilots in the Southeast Asian region. Today, AirAsia boasts of 250 female pilots. As an airline, this is amongst one of the highest percentages in the world. Another thing which the AirAsia CEO endorses is a hierarchy-less organization where every member of his staff can email him or chat with him directly. The power of the organization lies in its flat structure, its openness, and transparency. Moving on to the future, Tony stressed that data is going to be a big factor in any company’s success. When AirAsia started, it was one of the first airlines to use the internet and social media. While it was quite far ahead of the legacy airlines, Tony realized they were still far behind the amazing tech companies who were agile, quicker, iterated more, and were far more consumer friendly. AirAsia needed to catch up and reinvent itself or it would be left behind. Data and technology is the arsenal with which the airlines plans to power its reinvention, stay agile and build new businesses. The budget airline has been using data to drive its ancillary businesses such as cargo and believes it can disrupt cargo through its network. Social ecommerce is on the rise in Southeast Asia; hence commerce is another business that will benefit as a result of disrupting the cargo business. In conclusion, Tony had some comforting words for the entrepreneurs of today. He acknowledged that while it’s tough being an entrepreneur but it is the best thing. Because an entrepreneur can affect change and drive careers. “You can do so much more as an entrepreneur. Don’t get stressed out because there are going to be bad days and you feel that life is not fair. But there is always a way forward,” averred Tony.